Learn more about common adverse drug events. 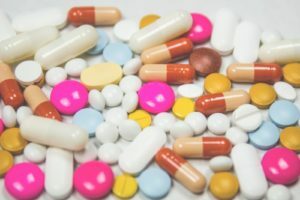 According to the Department of Health and Human Services (HHS), at least half of all Americans take one prescription drug daily. The United States alone holds over 45 percent of the global pharmaceutical market, representing the largest continental market when combined with Canada and Mexico. Prescription medication provides incredible benefits to countless patients, but these advances do not come without their fair share of risk. An adverse drug event occurs when an injury results from medical intervention related to prescription medication. Adverse drug events are responsible for 700,000 emergency room visits on an annual basis. The medical community does not generally classify an adverse drug event as a medical error or medical malpractice. However, there are many cases when the event occurred as a result of negligence, whether by a doctor or another medical professional. A potential adverse drug event can even occur when the medication error was caught and corrected and does not cause the patient harm. In many cases, the patient does not receive the medication and does not experience any harmful repercussions. A non-preventable adverse drug event occurs when a medication is prescribed and administered to the patient. The patient experiences various side effects of the medication, such as slight irritation or discomfort. When a patient receives a drug and experiences a harmful reaction that is not considered dangerously severe, the reaction is classified as ameliorable. In the event of an ameliorable adverse drug reaction, the event is not completely preventable. Considered the most dangerous of the four classifications, preventable adverse drug events occur when medication has been prescribed and results in serious side effects. Often, these side effects cause additional health risks to the patient resulting in injury or even death. This entry was posted on Thursday, January 17th, 2019 at 1:35 pm. Both comments and pings are currently closed.